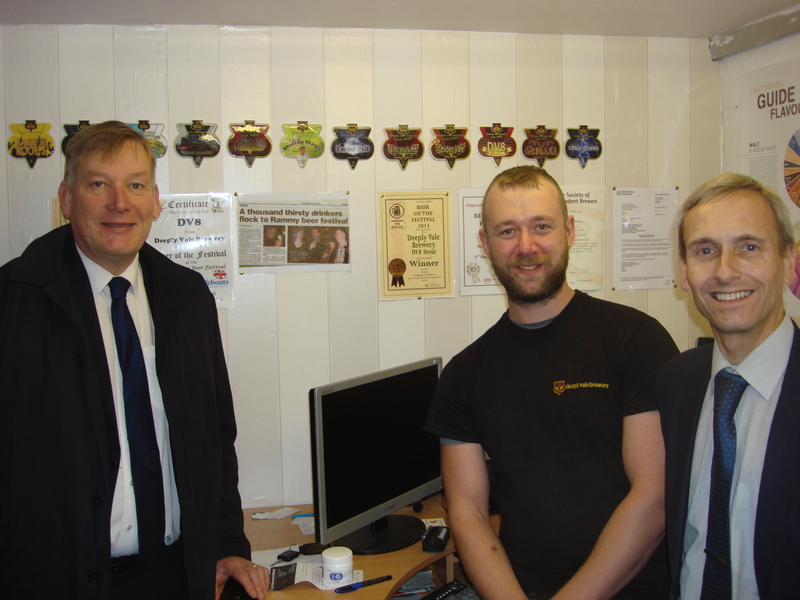 I was delighted to be able to welcome the Local Government Minister Kris Hopkins MP to Bury again yesterday. We had a tour of the The Clarence Public House and their basement microbrewery. It is good news that this local in the town centre has reopened after standing empty for several years. We then moved on to the Deeply Vale Brewery and saw at first hand how another Bury based microbrewery is successfully brewing and selling beer across the region. This entry was posted in Local News and tagged Clarence Public House, Deeply Vale Brewery, Kris Hopkins, Local Government Minister, The Clarence by David Nuttall. Bookmark the permalink.